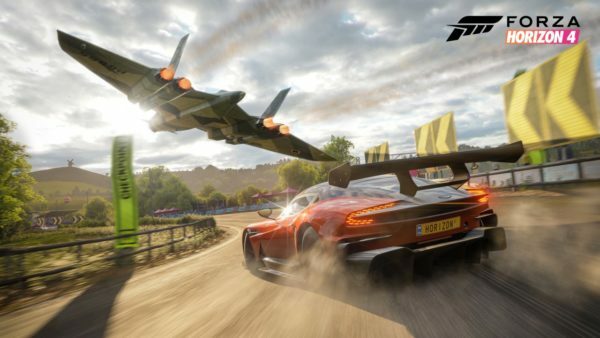 When Forza Horizon 4 was announced with a setting in Britain, my ears perked up. Having lived in Scotland my whole life and driven all over Britain, I looked forward to seeing a take on the countryside that would at least feel a little bit recognizable. It wasn’t until they announced the main city portion of the map would be Edinburgh that my excitement hit a fever pitch, as I was born and raised in Edinburgh. Knowing the streets in the city center like the back of my hand. Given that Forza Horizon 3 was, in fact, my game of the year for 2016, with the fourth installment taking place in my home city it was bound to be a home run. It is, but not without some very minor issues. Unusually, I want to start with the negatives, mainly to get them out of the way. The biggest issue for me is the addition of emotes, clothing items, and novelty car horns as a big part of the game. These are offensively shoehorned in as winnable items in the level up wheelspins. These wheelspins offer large sums of cash, limited edition cars, and emotes. So, watch with rage as the wheel slows down over 170,000 credits or a nice, shiny, free Lamborghini. For it instead, to click over onto a mini skirt, the Sea Of Thieves theme tune for your car horn, or worst of all, a Fortnite dance for the podium. I have to say, it just makes the whole wheelspin mechanic feel a little bit stupid. Despite not being a driving simulation like the main Forza series, this is the first time the series has felt silly at any point. So, if you are the type that’s fine with a default avatar, and doesn’t want to collect up all these customization options, these things are actually just an irritation. The second issue I’ve encountered, which I have experienced with the series since Storm Island (the DLC for 2), is rubber banding. For those of you that don’t know, rubber banding is the feature built into racing games to make them competitive. Mario Kart is the most famous and obvious example of this, with the game literally giving useless power-ups to the leaders, with the racers bringing up the rear getting the more useful and game-changing ones. 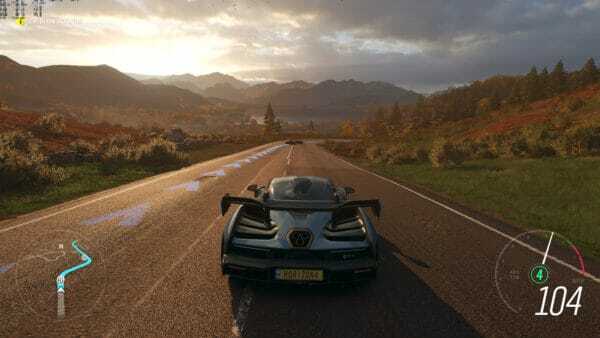 Horizon seems very obvious in its use of this compared to Forza Motorsport 7. With the negatives out of the way, I feel like I can start gushing over this game. First up, Forza Horizon 4 is one of the best looking games I’ve ever played. Offering two graphics options on the One X for native 4K at 30fps or 1080p HDR with 60fps. Either option is good, but I found myself sticking to the 4K due to how often I’d use drone or photo mode. The draw distance is absolutely incredible, which is great given how hilly the map is. You truly can see for miles, which made for some spectacular photos of my home city which are barely distinguishable from genuine pictures. It’s the detail in the city which will go unappreciated by so many gamers, but I’m actually going to take some time and talk about just how accurate it is. From the extinct volcano in the city, Arthur’s Seat, you can see Edinburgh Castle, the Scott Monument and the many steeples that make up the Edinburgh Skyline. From the Castle grounds, you can see George Heriot’s school (a very nice touch as you can’t drive by it) and Princes Street, the main shopping street in the city. While the shops and bars don’t have anything on them and aren’t accurate in their placing throughout the city, these are understandable omissions. With the exception of a few liberties being taken in the layout of the city, it really does feel like you’re speeding around Edinburgh. For every time I’ve noticed a street that doesn’t exist, or parts of the city forced together, I’ve been able to use my knowledge of the city to cut a corner or gain an advantage in a race. Short of the Edinburgh based Rockstar creating a GTA game in a version of the city built brick-by-brick, there’ll never be as accurate a model of the city in a video game like this. Even with the map being a very compacted version of the north of England and Scotland, it still pulls its weight. A drive down the east coast quickly takes you to Bamburgh Castle, another real-life location, which at around two hours drive from the city in real life isn’t as close as the game suggests. Likewise is the Glenfinnan railway bridge, famous from the Harry Potter movies. This is another fantastically accurate location but would take around five hours to get to from the center of Edinburgh. Obviously, these aren’t criticisms of the game in any way. On the contrary, it’s actually amazing how accurate the journeys between these points feel to the real-life roads once you leave the city. Travel east out of Edinburgh down the coast and you’ll go through a couple of smaller towns before a long, coastal drive down to Bamburgh. This is exactly how it feels in the game as well. While the transition from city to highland roads on the way to Glenfinnan is also 100% spot on. Likewise is the English lake district, which is the home to the main Festival hub. I can’t speak so much for the location accuracies but it always feels like you’re driving in the UK. The road signs, the different towns, and locations are all exceptional and it helped so much with the immersion. The map is the same size as FH 3. However, I would say it feels a little smaller due to the lack of fast travel points, like the multiple festivals from last time. 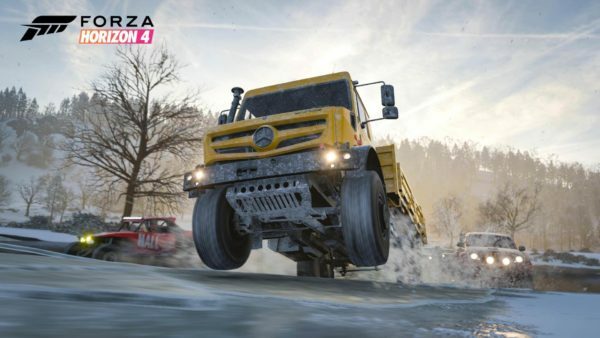 The Horizon festival returns with a huge selection of races, which are slightly different from previous games. You now level up individual cars and disciplines. So, if you particularly enjoy off-road racing or night time street races, you can focus more on those. Gone are the bucket list challenges from Australia and in are the stunt driver and high-end rental businesses. On these new challenges, you can work for a movie director doing crazy stunts and drives for reputation. You can also work yourself by racing high-end sports cars across the map for rich clients. There’s a huge variety of activities available, which is only really obvious once you’ve completed the massive “season tutorial” that takes up around the first 8-10 hours of game time. Once you’ve completed four seasonal showcases, the game opens up the full online options. 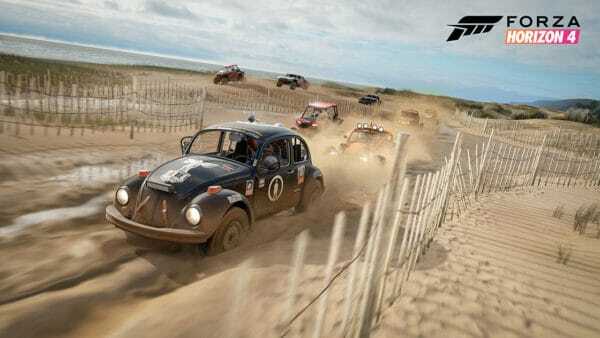 These include weekly season changes, new challenges and the return of Forzathon Championships. I felt like I was finishing the game far too quickly when beating the showcases. However, I only just scratched the surface of content in the game so far. I still have dozens of races to go and new challenges hourly with Forzathon. Meaning there’s always going to be a road trip to jump in to. Further challenges such as adding perks to individual cars or aiming to buy and move into Edinburgh Castle for a meager 15 million credits will take a decent amount of play. Can you believe that I’ve made it this far through the review without even mentioning how any of the cars handle? As you’d expect from the Forza series, there are hundreds of cars across a number of classes with unlimited customization options. For the most part, these all feel different from one another. My own car, a Honda Civic, is in the game and it feels true to life, so I’d imagine the same level of detail has been put into the Aston Martin‘s or the 1985 Reliants. The car interiors aren’t as polished as they were in Forza Motorsport 7 but processing the open world and huge servers make this a forgivable sin. One thing I don’t remember from older games is how hard to handle some of the RWD and Drift model cars are. Although, this could just come down to picking the right cars and practicing with them. I am hours into this game and I’m still scratching the surface of what there is to do. The fact this is on Xbox Game Pass is even more extraordinary because the Horizon series continues to move from strength to strength and as long as the stupid stuff can stay in the background, I’ll look be looking forward to Horizon 5. 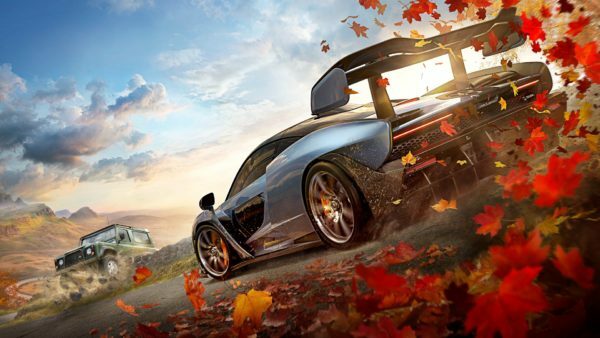 Overall Score: 9.0 Out of 10 Aside from some stupid stuff that is amazingly not linked to micro-transactions and some unbalanced driver A.I, Forza Horizon 4 is another phenomenal entry in the series and as someone born and bred in and around the area in which it’s set, it is an absolutely awe-inspiring experience. 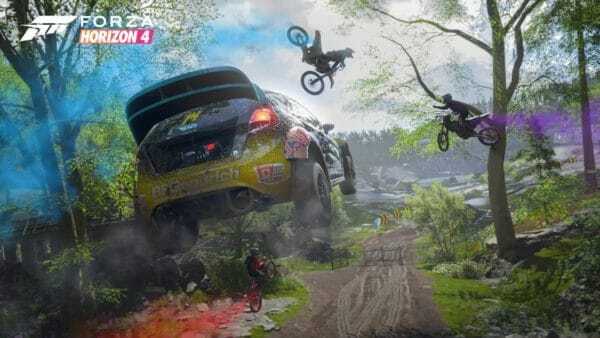 This game was reviewed using an Xbox Game Pass version of Forza Horizon 4.